When the Xbox 360 and Nintendo Wii consoles were launched in the UK, getting your hands on one was about as hard as finding a Windows Media Audio file on an Apple iPod. A bit of digging in our local town centre was enough to discover that the PlayStation 3 launch is almost exactly the opposite. There are plenty of PS3 consoles available, and yet no one seems to want one. Canvassing the stores in Bath revealed that every single shop offering a PS3 pre-order can still guarantee customers a console, even just one day before launch. The Currys.digital store in Bath had its stock delivery two days ago. They've been allotted three PlayStation 3s; they'd had just two pre-orders. WH Smith told us that six had been delivered . Shop staff informed us they had "plenty" of those still available for Friday and commented "you probably don't have to pre-order, just come in on Friday". The local Sony Store, rather obviously, had more consoles available than the other shops. But the general trend continued: they'd had 20 PS3s delivered earlier in the week, but had taken only 11 pre-orders. The story was a similar one all around town. HMV staff informed us that they had "loads" of PlayStations in stock. They added that "loads" of them were still up for grabs, saying that they "hadn't had that many" pre-orders yet despite pre-ordering being available for over a month. ePlay said that "a few have been delivered" to them and they still have "some" available. And in Game, again, it was a similar story. They had some in and could guarantee availability on launch day. And so it seems that what Sony hoped would be the most anticipated console launch of all time looks like being a bit of a rubber chicken; limp and disappointing. In comparison, back in 2005 the Xbox 360 sold out well before its release day. Demand was such that customers (mostly from Amazon ) were left disappointed when pre-orders couldn't be fulfilled at launch. Likewise, the number of Wii consoles available on its UK launch was limited, but the demand was massive. Nintendo Wiis are still sold out in many places across the UK. In stark contrast now, in most towns it seems you'll be able to walk into a shop on Friday and pick a PS3 off the shelves. Play.com told us: "Play are still taking orders and guarantee to supply all pre-orders taken". A quick scroll to the Play.com website revealed that the Nintendo Wii on the other hand is still completely sold out on the site and not available. We reckon there are around 60 PlayStation 3s in Bath shops. Around half of these have been pre-ordered. So in a city populated and surrounded by 100,000 people, it seems that only 30 people want a PS3 so badly that they have had to pre-order one in town. Of course, Sony has shipped one million units of the PlayStation 3 into Europe, with 220,000 of these earmarked for the UK. Compare this to the 300,000 Xbox 360s that were allotted to the whole of Europe by Microsoft in 2005 - the UK barely saw 70,000 of them. "Sony has told us that it doesn't want to be in an out-of-stock situation at any point," said Lisa Foster, editor of the games industry weekly MCV , "so there are plenty of units continuing to come into the UK." 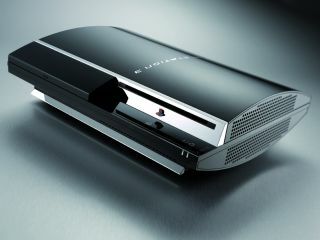 Sony insists that the unprecedented availability of the PlayStation 3 is down to plenty of stock being shipped to Europe in time. But our very quick walk around town suggests that a distinct lack of pre-ordering is also partly responsible. And the reasons for the British public shunning the PS3 launch? The excessive £425 price tag is certainly one. It could also be the case that keen gamers have already filled their cabinets with an Xbox or a Wii... or both. We'll be at the Virgin Megastore in London tonight to catch the launch situation there.